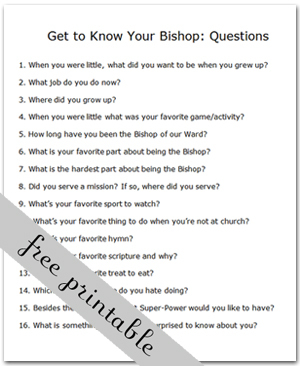 What You'll Need: scriptures, GAK 611: The Bishop, picture of your Bishop in his youth, questionnaire (click here to download) completed by your Bishop, downloaded Best Bishop sign (click here to download) and coloring tools. You can also choose to download the pdf of LESSON 36 for easy printing. If you download, please leave a comment here on what you like about this lesson. Preparation: Email or call your Bishop and ask for him to answer the questionnaire and provide a childhood photo if possible. Give him as much notice as possible. - Can anyone guess who this person is? Hints: He's in our Ward, he has ________ kids, he sits on the stand during Sacrament Mtg, he is the Father of our Ward. Heavenly Father and Jesus have called many leaders and teachers to help you live the gospel of Jesus Christ. One of them is your friend the bishop. He loves Heavenly Father and Jesus and tries to be a good example for you. He wants you to keep the commandments. 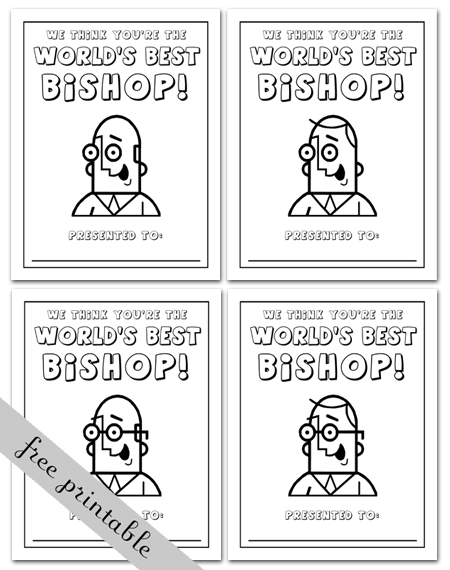 A bishop has many important things to do to help his ward family. Listen to the words of our opening song. To the children ev’ry day. In our Heav’nly Father’s sight. The first line of that song said Busy as a man can be. The Bishop has many jobs to do. Here are some of the things our Bishop does for our Ward. - oversees teaching, missionary work, and spiritual growth in the ward. - oversees ward finances, records, and the use and security of the meetinghouse. In these responsibilities and others, the bishop gets help from two counselors, an executive secretary, clerks, and the leaders of other organizations in the ward. And even with all that help, a Bishop is still very busy. But He also receives many blessings from Heavenly Father for giving such important service. Heavenly Father called Bishop ______________ to be the Bishop of our Ward and that means we should always listen to him and follow his council. Now we're going to learn more about our Bishop. See if you can guess what he answered to these questions. 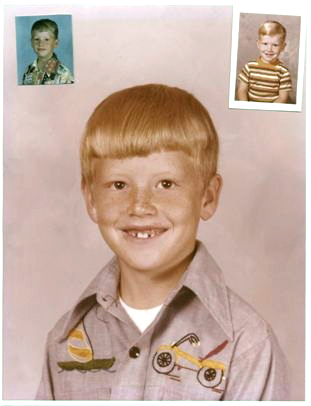 (you may choose to keep score of the correct guesses and have a small treat for the winner). We can help the Bishop by being reverent in church, by smiling at him and shaking his hand when we see him and by praying for Heavenly Father to bless him and his family. Bear your testimony about Bishops. You may want to share a story about a special Bishop you remember in your life and how they helped you.. Practice Song: If you are teaching your family the SEPTEMBER Song of the Month, go over the words and music with your family. - Select "Print Current Location"
- Print onto paper or card stock. Color picture to look like your Bishop. - Deliver on Sunday or during the week to his house. Include the Bishop's favorite treat, a bit of service (wash his car, rake his leaves, etc) or homemade goodies. Today it just occurred to me how fast time passes. It seems like I've left a comment recently, while in reality I'm sure it's been over six months! Our family appreciates the hard work you do! This website really saves our lives when it comes to family home evenings. I wish I could give you a better reward (monetary) for you time and effort, but I hope some sincere praise and the knowledge that it makes a huge difference in the life of our family will be enough. This is a good idea for a sharing time. So cute! This is such a great lesson. My dad is a bishop and I know they appreciate any love and support that comes their way. It's a hard job.